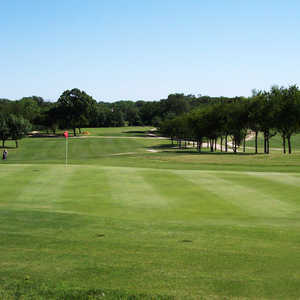 Built in 1979 in the floodplain of the Elm Fork Trinity River, this course was designed with the average golfer in mind. Numerous lakes and ponds require accurate shot-making. In fact, water is in play on all but 3 holes and often impacts both the tee and approach shots. 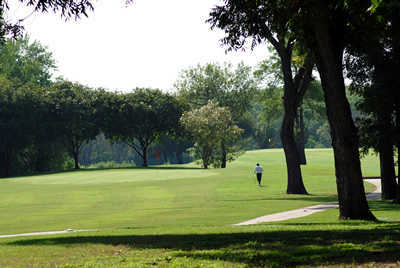 The tree-lined fairways are plush, and the greens are medium in size and speed. The signature hole is No. 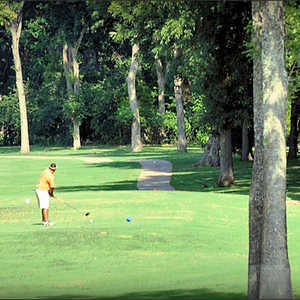 3, a 538-yard par 5 that plays into the wind and features a double-dogleg fairway that is tree-lined on the left and offers a cluster of trees with a pond on the right. This hole veers left off the tee through a chute of trees and a pond on the right, then back to the left on the second shot as the fairway slides down to a green neslted in a thick grove of trees. 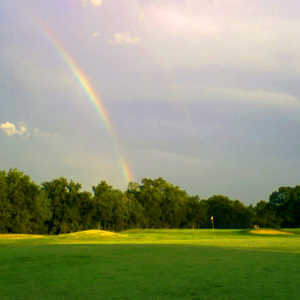 Players need to hook the second shot in order to approach the small, elevated green. No. 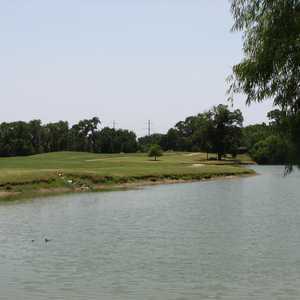 6 is tough as well: a sweeping dogleg with two ponds on the right side of the fairway. The approach is into an elevated green on a peninsula with water behind and on both sides. Getting there : From I-30 east, take the Jim Miller Rd. exit and go south for 2.5 miles. The course is on the right.